Members of Special Counsel Robert Mueller’s team say that Attorney General William Barr did not accurate portray their findings over links between Donald Trump’s campaign and Russian officials during the 2016 Presidential election. “Government officials and others familiar with [the team’s] simmering frustrations” support the criticism of those who said Barr’s four-page summary was an attempt to cover for Trump over issues such as collusion and Trump’s obstruction of justice. 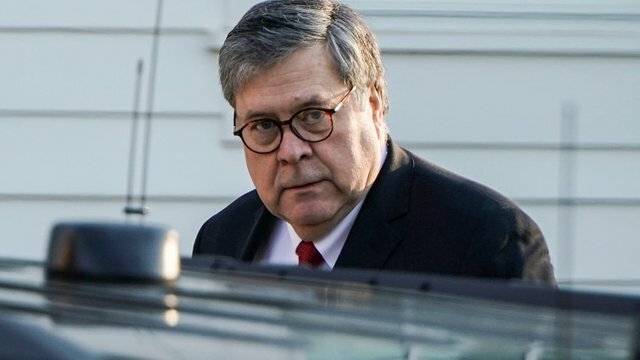 Barr wrote legislators on March 24, two days after Mueller submitted the report of almost 400 pages with hundreds of pages of supplementary material. The Attorney General pushed aside any consideration of collusion — such as knowledge and encouragement of Russian intervention — with the narrow statement over “coordination” and “cooperation”. He quashed any follow-up proceedings over obstruction of justice, saying Mueller had argued on “both sides” of whether Trump was culpable. “It was much more acute than Barr suggested,” said one source. Barr has said that he will release the report in mid-April but with redactions, including a sweeping category of “third parties” which may classify passages relating to Trump. On Wednesday, the Democrat-controlled House Judiciary Committee approved subpoena powers for Barr to give legislators unredacted copies of the report and Mueller’s evidence. “Two people familiar with the investigation” said Mueller’s office was disappointed that Barr did not release summary information which they had prepared. It was done so that the front matter from each section could have been released immediately — or very quickly. It was done in a way that minimum redactions, if any, would have been necessary, and the work would have spoken for itself. Instead Barr quickly wrote his letter to frame the report. “There was immediate displeasure from the team when they saw how the attorney general had characterized their work instead,” said an “official briefed on the matter”. The sources, quoted by The New York Times and the Washington Post, declined to say why Mueller’s team see their findings as more damaging to Trump than Barr set out. Representatives for the Justice Department and the Special Counsel declined to comment. In June 2018, Barr sent an unsolicited memorandum to the White House opposing Mueller’s investigation of obstruction of justice. He said there would be disastrous consequences for the Justice Department and the Presidency if the Special Counsel concluded the President was guilty of obstruction just because of a conclusion of “corrupt intent”.